Ben Taylor, son of James Taylor & Carly Simon and nephew of Livingston Taylor, is coming to the Rams Head On Stage in Annapolis Oct 9th. Ben Taylor’s music is marked by a noted honesty and authenticity of feeling, starting with his tuneful and expressive voice, the kind of voice that makes its impact with the smallest turn of a whispered phrase. His memorable melodies, immaculate acoustic guitar playing and insightful, honest lyrics have been captivating fans since the moment he embarked on this journey ten years ago. As the son of James Taylor and Carly Simon, Ben has led a life so far in which music has always played a central role. His wit and skill as a singer-songwriter showcases an artist who is comfortable both in his own skin and with his impressive musical legacy. His acclaimed previous releases comprise his debut album 2003’s Famous Among The Barns, 2005’s Another Run Around The Sun, and 2008’s The Legend of Kung Folk, Part 1 (The Killing Bite). Highlights from his previous albums include appearances on Good Morning America, The Tonight Show, The CBS Early Show, Last Call with Carson Daly and Howard Stern. Ben also made his acting debut with a recurring role on NBC’s American Dreams and has appeared in the pages of People Magazine, Vogue and even on the cover of Rolling Stone magazine. His reviews and raves have been steady for over a decade now with more to come. 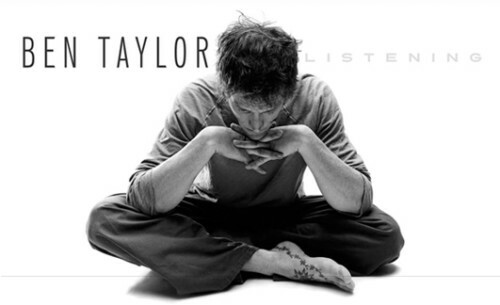 Ben Taylor has previously toured with Sheryl Crow, Blues Traveler and Ziggy Marley among others. A few tickets remain and can be purchased here!